100% quality assured premium kiln dried Ash hardwood. 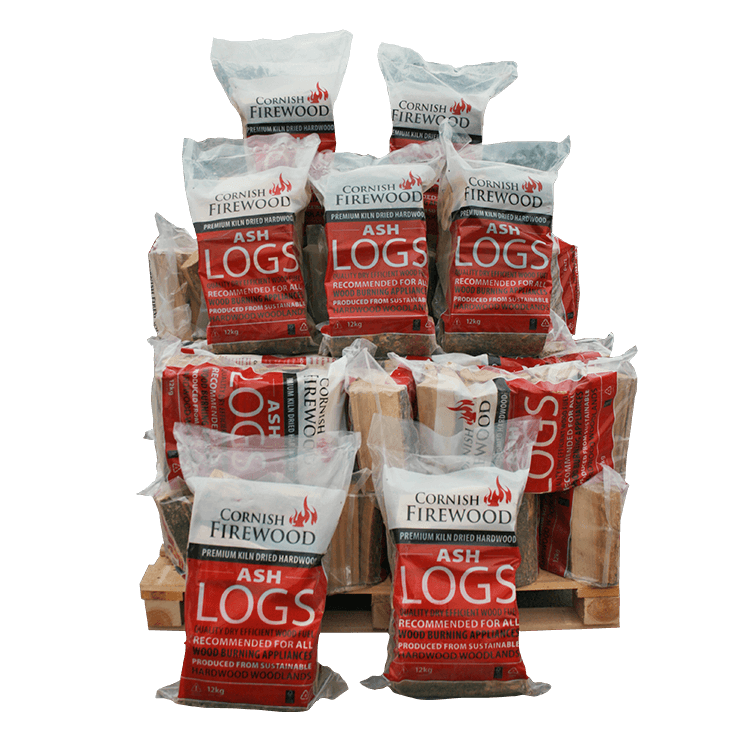 Kiln dried Ash logs give the ultimate clean burn with maximum heat output. Our Flagship Product – The Best of the Best !! 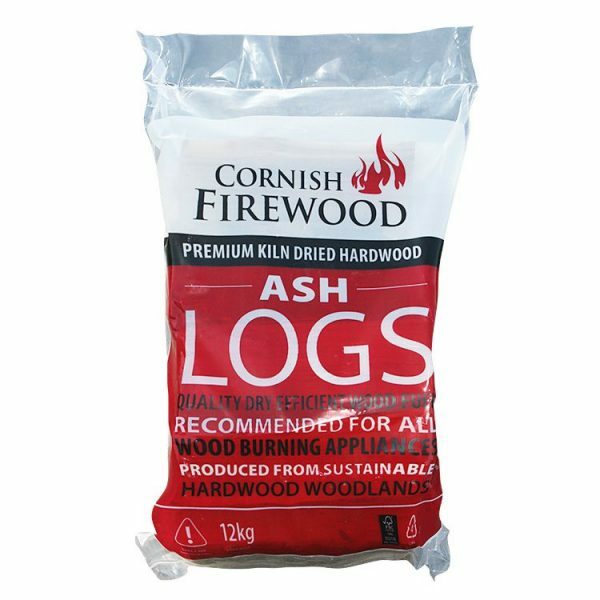 Loyalty Discount: Please make a selection..
Kiln Dried Ash Firewood is one of the finest firewood’s that money can buy. So good, in fact, that you can burn it green shortly after felling the tree. We don’t suggest burning green wood as it will spoil your log burner but that is an example of how great Ash is for firewood. Once the logs go through our state of the art kiln drying process the result is simply phenomenal firewood, our customers keep coming back time and time again because simply this is the best firewood you will ever burn. High heat output and a long burning time result in a fire that is matchless in its performance and value for money too. Your Ash logs will burn hotter and last longer than other species so you will use less to get your required heat level, helping you save money! Logs are cut to 25cm in length to fit the vast majority of wood burners and are kiln dried to an average moisture content of 20% in most cases lower. Burning Kiln Dried Logs will give you maximum heat output for every £ spent and will help keep your burner glass and flue clean and clear from tar condensates, prolonging the life of your burner and saving on chimney sweeping costs. Each kiln dried log will give out more heat than a comparable seasoned log meaning you will spend less money on logs to achieve the same level of heat. Therefore kiln dried logs are superb value for money. 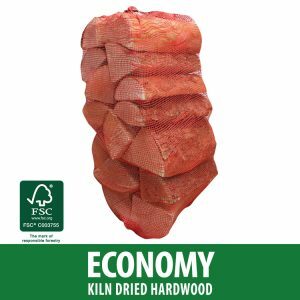 The kiln drying process ensures a consistent product so you are able to buy with confidence that the firewood you are buying is reliable. Seasoned logs are often inconsistent due to the variations in moisture content that arise from natural seasoning process. 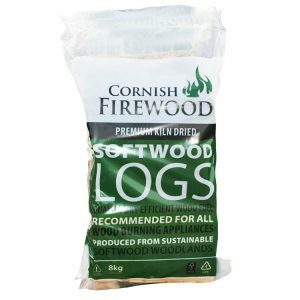 Q:Which are better for burning - Softwood or Hardwood Logs? It depends on the exact species of wood you are comparing but, generally speaking hardwood logs tend to be much denser than softwood logs and therefore they burner hotter and longer. Given two similar sized and seasoned logs, one hardwood and the other softwood, the hardwood log would generally be heavier and produce more energy than the softwood log. 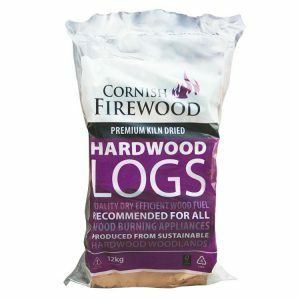 You therefore need fewer hardwood logs to produce the same heat output and because they take longer to burn the refuelling intervals are longer as well. Softwood logs are easier to light and are great when you want a fire with lower heat output, like autumn and spring. Q:What happens if my seasoned logs or kiln dried logs get rained on? Not a lot really. The seasoning or kiln drying process dries the wood from the centre out, and a little rain will make virtually no difference to the moisture content of the wood. However, prolonged exposure or immersion of your logs will increase the moisture content over time and is not advisable. Seasoned and Kiln dried logs should therefore, always be stored under cover in a well ventilated area – a log store is ideal for this purpose. Q:How is our firewood delivered? We do not deliver loose loads. We find these inconsistent and difficult for customers to accept and handle. 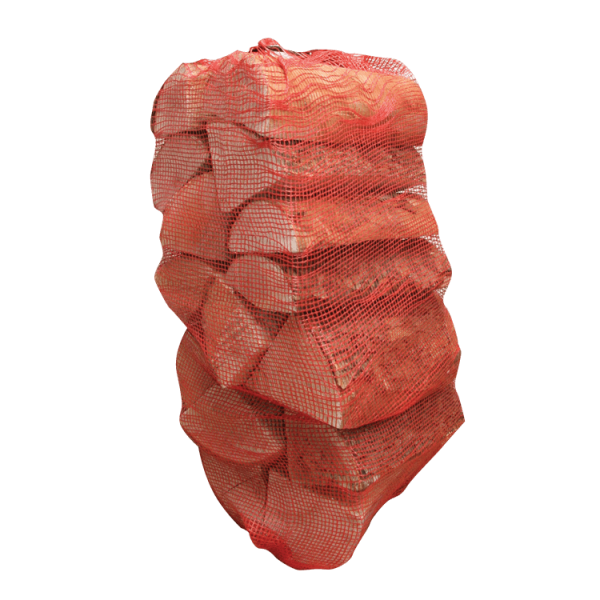 All our loads are sold in cubic metres that are measured loose in cubic metres cages once split and then net bagged for convenience of handling by our drivers and customers. This also to offer a consistent load every order. For local deliveries net bags will be stacked on pallets and delivered and handballed off the vans to a log store driveway or garage near to unloading point. We ask if wood is to be left outside while you are at work or away from home that you leave something to cover the logs until you return. Goods are left at customers own risk. National delivery orders will be delivered on pallets of 60 bags in a 7.5 tonne lorry using a tail lift and pallet truck. Therefore adequate access suitable for this type of delivery is required. Pallets trucks will not travel over gravel or soft ground so in this instance will be roadside delivery as close as driver and vehicle can safely reach. For further information please refer to our delivery guide.